Kaylee already posted about her thoughts and feeling regarding our trip to Urubichá, but we decided that we should also write about the trip itself, as it was very stressful (especially returning!). We set out from Cochabamba on the 15th of February, headed for Santa Cruz. It was an uneventful trip and we felt quite comfortable on the road, since we had been over the same 300 miles just five weeks earlier. On the morning of the 17th, Kaylee and I said goodbye to our girls and my parents and got on the road to Urubichá. 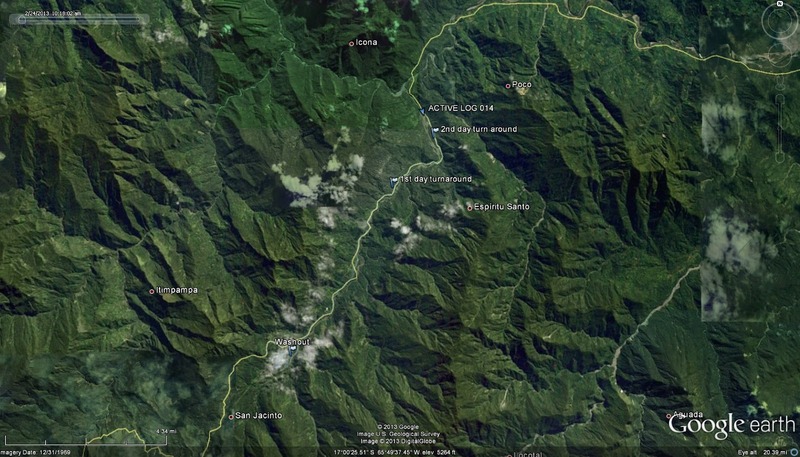 The first 185 miles to Ascención de Guarayos is on one of Bolivia's major highways and is paved pretty well all the way. Then you turn off the main road and go another 25 miles on dirt. There is a gas station in Ascención, but it didn't have any gasoline! We had filled up in San Ramón, 150km back, but thanks to a wonky gas gauge, I thought we had less than a quarter tank left. By the time we actually got out to Urubichá, it was reading empty. According to our coworkers and the people in the village, the fuel truck would come on Tuesday (the day we planned to leave), but there would be a huge line of cars waiting and not all would get gas. So we purchased 50 liters from a friend, enough to get us back to San Ramón. The rest of the trip was pretty uneventful, other than never being sure about how much fuel we had and a couple of problems due to my international driver's license. Uneventful, that is, until we reached Villa Tunari and were on the last leg of our trip home to Cochabamba. We got about halfway up the very steep climb out of the lowlands and ran into a huge line of trucks, buses, and cars. We weren't sure what was going on, so we decided to stay wait and see what happened. 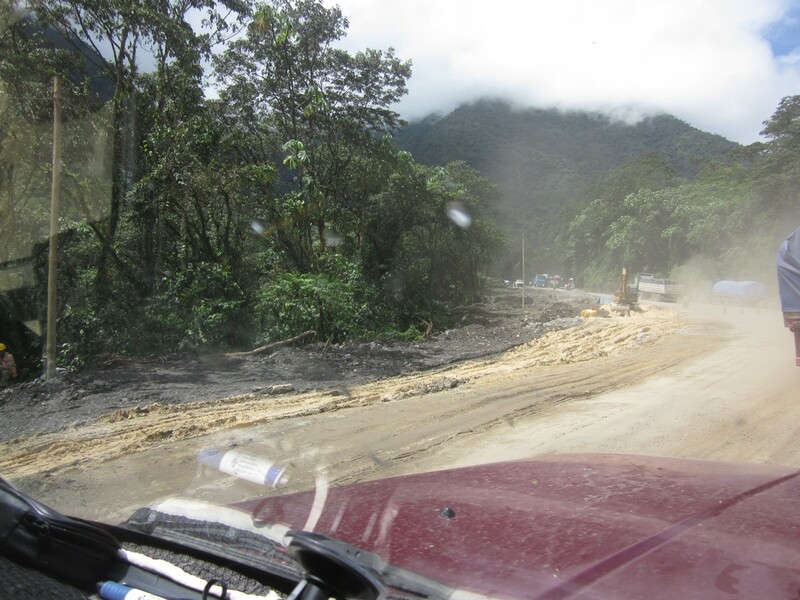 During rainy season, that particular road is fraught with landslides and unstable areas. When there is a problem, the truck traffic starts to get backed up and the little cars and even the coaches start to pass them, often packing up 3 lanes wide! Even after the roadway is passable again, it takes forever to get the traffic mess untangled! Thankfully, I was able to get through to my brother on the cell and find out where they have stayed in the past. We ended up in a very nice bungalow-style hotel with a great pool, a good restaurant, and nice rooms with AC. The next day we tried again in the morning. This time, we took a chance and followed some other cars up the wrong lane as far as we could. We didn't even get to the same spot as the day before! Kaylee asked a trucker how long he'd been there and he replied, "Since 3am!" 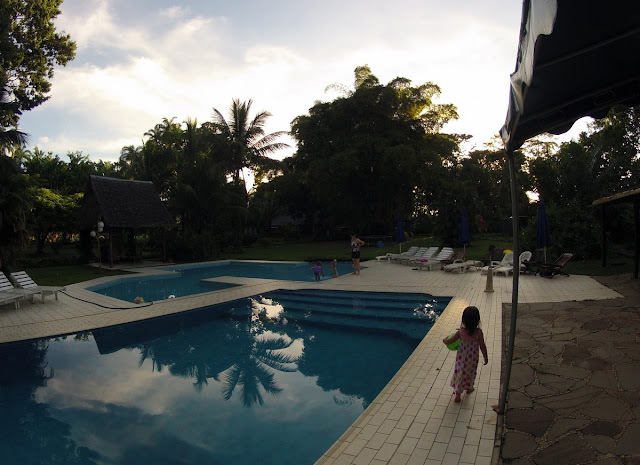 A police officer was coming through the traffic on his motorcycle, informing everyone what was going on and it didn't look promising, so we turned back, checked back into the hotel, and enjoyed another afternoon in the pool! On Sunday morning, I went down to the roadside restaurants near the hotel and talked to several truckers about how the road was. They all said that the problem was fixed for the time being and traffic was slowly making its way through. Sure enough, we made it home, with no trouble!